Since my last post was a picture of me being incredibly pregnant, hopefully it won’t come as a surprise to anyone to learn that we have since had our second child. Â Alex was born on January 10 and everything has been going pretty well (sleep deprivation notwithstanding). I haven’t posted because there hasn’t been anything motorcycle- or hockey-related to talk about yet. 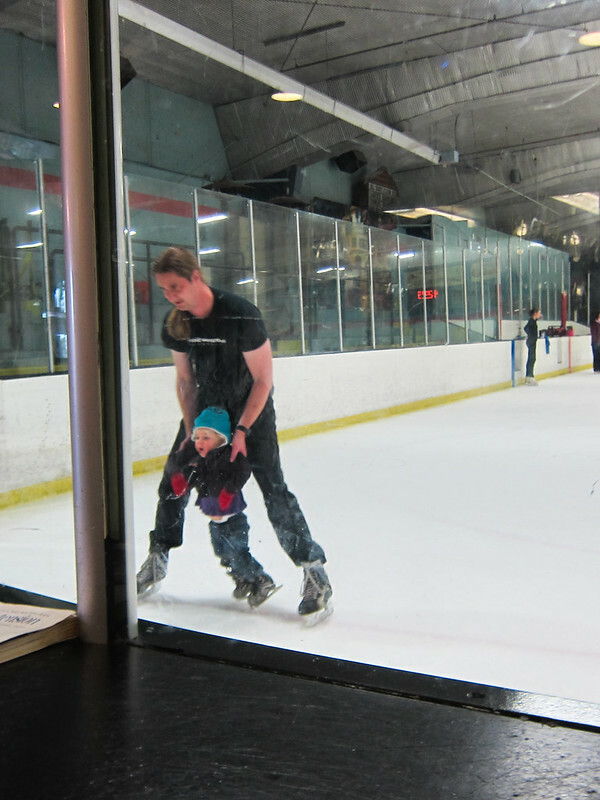 Kira did go ice skating for the first time on Thursday, so we’re one step closer to a family hockey team. As far as MY hockey and motorcycling — I’ve gotten the OK from my doctor to do both so now it’s just a matter of finding the time (hahahahahhahahahahaha). Â The new hockey season starts on April 18 and I’ve already registered, hooray! Motorcycling will be a little tricker. Â My bike is still at the paint shop, so even if I magically had a free day, I couldn’t ride yet. Â But I think it’ll be another month or so regardless just due to logistics of babysitting. 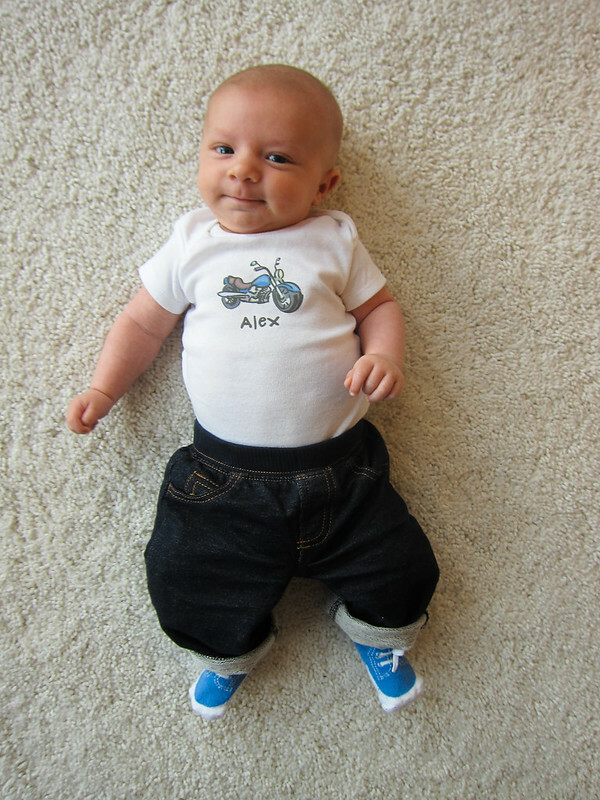 Â Once Alex is three months old I’ll feel better about leaving him for a half day or so to head out on the bike. I’m also hoping to do an overnight trip this summer, Peter willing. Â Fingers crossed! Â So, anyway, hopefully that means some eventual new content here soon. Â Woot woot! This entry was posted in Alex, Kira. Bookmark the permalink. Congratulations on your new little munchkin! What a cutie pie!! What a cutie!!! I’ve been away for a while and hoping to get back to blogging. I see you were a way for a while yourself. Congratulations!!! I will get your new website updated on my blog as soon as I figure out how to do it. Things have changed a bit since I was last blogging.